Throughout the year in Louisville, there are plenty of ways to meet your neighbors. From April though December, there are street fairs, community art shows, and large community celebrations to introduce you to the neighborhoods that make up our great area. Come to be entertained with music, be amazed at the talents of your fellow citizens, and taste the best of Louisville foods. Most festivals have active participation from major corporations, organizations, and local businesses, so you will see our community in action. Kids are welcome at these events, which often have a Kidzone where they can be educated and entertained. 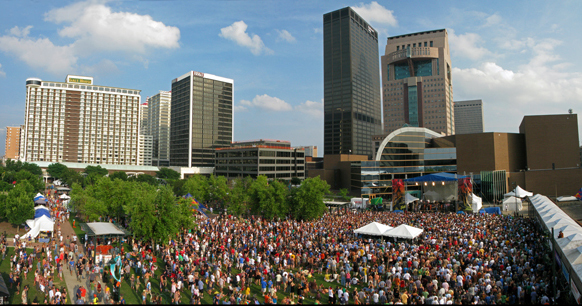 Here is a sampling of the best festivals Louisville has to offer. Cherokee Triangle Art Fair - Juried art fair, complete with music, food, and entertainment held the weekend before Derby. Kentucky Derby Festival - The largest civic celebration in the country with a collection of 70 events held in the two weeks before the Kentucky Derby. 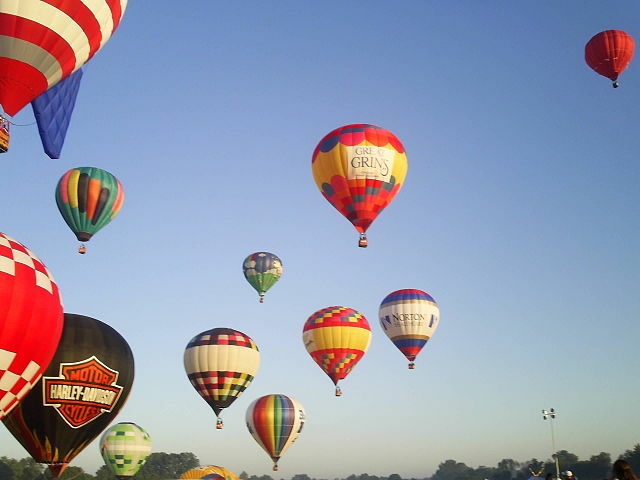 The festival includes Thunder Over Louisville, the Great Balloon Race, the Great Steamboat Race, Marathon/ Mini Marathon, and the Pegasus Parade. Slice of Louisville - Caterers strut their stuff in West Louisville to the sounds of jazz, blues, and R&B. Abbey Road on the River - Five day Beatles tribute festival held Memorial Day weekend. Kentucky Reggae Festival - Live reggae music, ethnic food, vendors. Mayor’s Healthy Hometown Subway Hike, Bike and Paddle -Mayor's biannual event held in May and September for cyclists, hikers, and walkers features a 5K walk, 15 mile bike course, or 3 mile paddle along Beargrass Creek and the Ohio River. American World Festival - International food and entertainment to promote American Community Center has a different theme eachyear. FandomFest - Juried film fest and pop culture festival for benefit of fans. Flyover Film Festival -Three day festivals that brings industry professional to town for 3 days. Kentucky Music Weekend - Large regional traditional and folk music festival. Louisville Brewfest - Celebration of local beer, wine, restaurants, and businesses at Louisville Slugger Field. Butchertown Art Fair - Local community art show in historic Butchertown, a current art enclave in Louisville. Germantown-Schnitzelburg Blues Festival - Two nights of blues in historic Germantown-Schnitzelburg at Burnett Ave and Hickory St .
Greek Festival - Two days of Greek food, pastries, dancing, and fun. 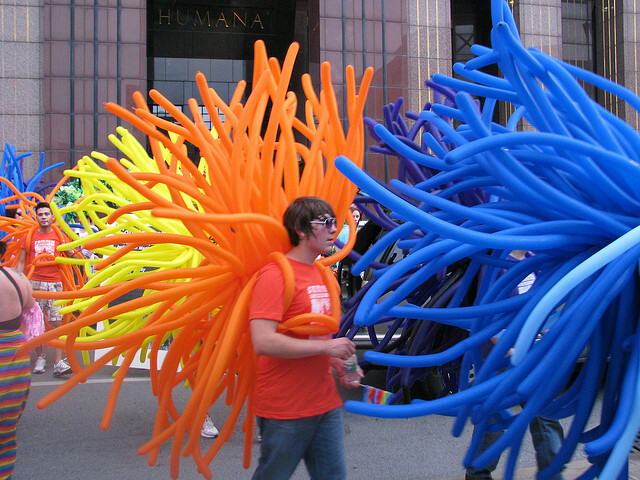 Kentuckiana Pride Festival and Parade - Annual parade and festival where Louisville's LGBT supporters celebrate with food, music, and local business showcases. Louisville Visual Arts Festival - Four major art groups hosting annual festival with themes changing by year. Old Louisville Spring Fest - Food, music, Parisian flea market, and kidzone to benefit Kosair Children's Hospital held on Old Louisville. RiverFest Music Festival - Held in Prospect, KY, RiverFest offers music, food, and fun on the river. Crescent Hill Old Fashioned 4th of July Celebration - Two days of holiday fun on the Peterson-Dumesnil House grounds, with an art fair, fireworks, pet contests, and food. Forest Fest - Archery, games, canoeing, and animals up close, and fireworks in Jefferson National Forest. 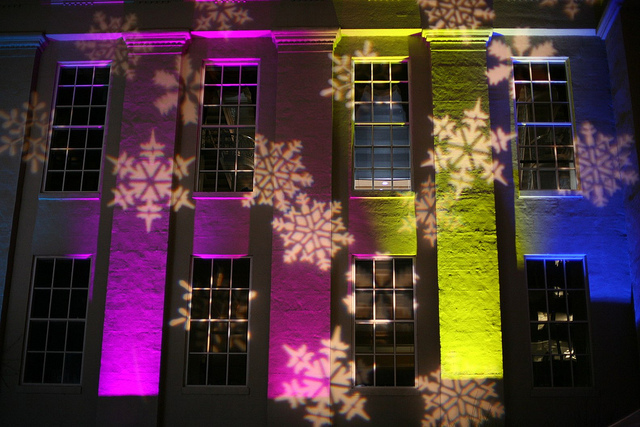 Jane Austen Festival - Go back in time and enjoy high tea, lectures, and demonstrations of life in the 18th century . Lebowski Fest - Two day fan celebration of the 1998 Coen Brothers movie. Louisville Blues-n-BBQ Festival - Great barbeque blends with the sounds of New Orleans and Memphis. The Forecastle Festival - Art, music, and activism festival draws bands, artist, and environmental organizations. Waterfront Independence Festival - Independence Day event on the river with music, food, and, of course, fireworks. Bourbon City BBQ Festival, Inc. - Held in Bardstown, this festival offers Kentucky Proud food vendors, antique tractor and lumberjack show, kids barbecue cookoff activities, entertainment. Brew at the Zoo and Wine Too - Fundraiser that brings breweries, wineries, and restaurants together for a fundraiser. Kentucky Art Car Weekend - Displays of art cars, sidewalk art sale, and parade on Frankfort Ave.
Kentucky State Fair - Farm and animal displays, concerts, rides, and fair food that draws 600,000 every year. National Street Rods Plus - World's largest automotive participation event, with 1,000 street rods from the 50's or later. Heritage Festival - Free family festival in Riverside at Farnsley-Moreman Landing featuring traditional crafts, music, and activities. Irish Fest - Festival with live Irish and Celtic music, Irish dancers, food, exhibits, and crafts. Jeffersontown Gaslight Festival - Nine days of fun that includes a motorcycle rally, car show, gold scramble, 5K run/walk, music, and more. Fifth largest festival in the region! Kentucky Bourbon Festival Inc. - Festival celebrates Bourbon during national Bourbon Heritage Month. 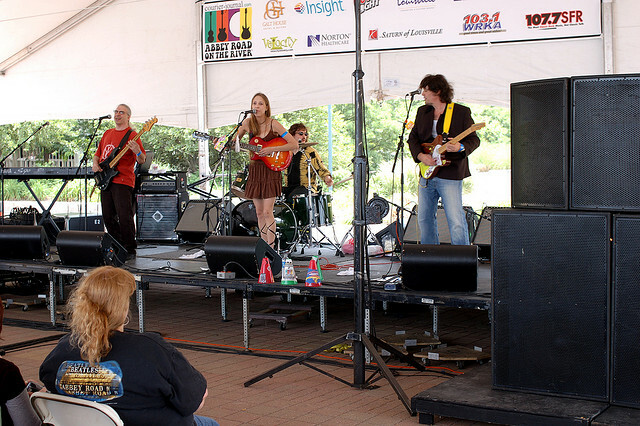 Kentucky Bluegrass Music Festival - One of Louisville's oldest and best known music festivals. National Jug Band Jubilee - A one night celebration brings jog music back to its Kentucky roots, where it all started. National Quartet Convention - Gospel music's largest local event to showcase Southern Gospel Music. 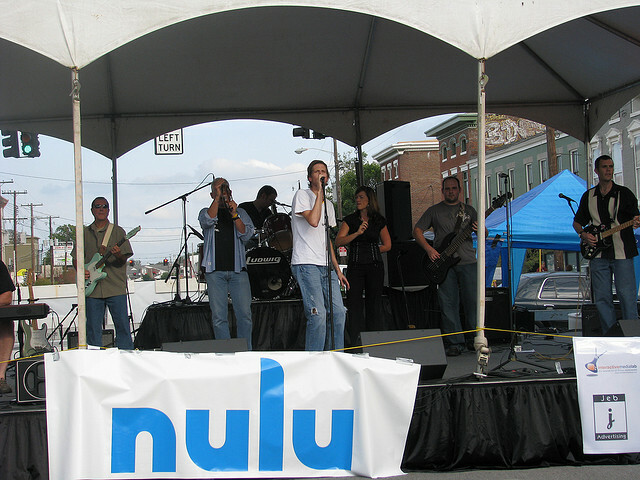 NuLu Festival - Local festival in 700th block of East market St. celebrates music, micro brews, and local businesses. 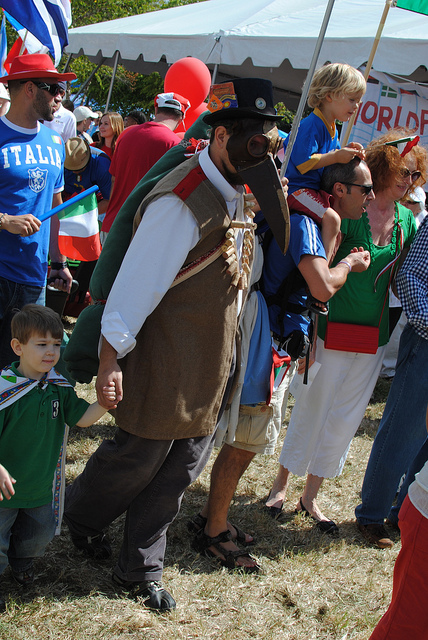 WorldFest - Three day celebration of world culture with parade, crafts, music, and a Naturalization Ceremony. 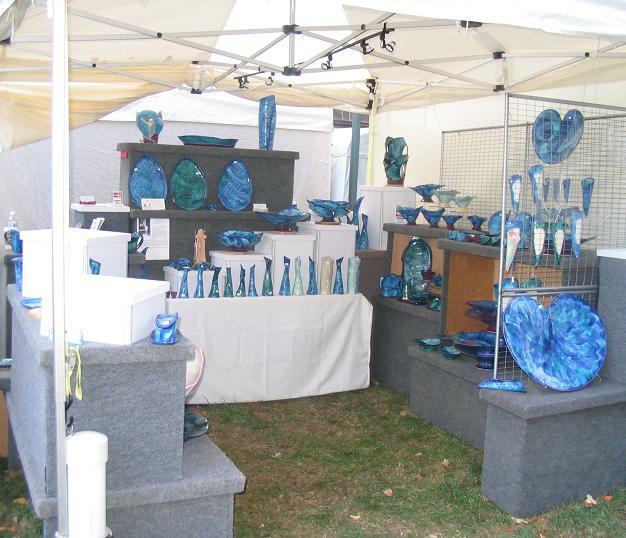 Belknap Fall Festival - Juried art show, 100 booths, music, and food held near Douglas Loop in the Upper Highlands. Garvin Gate Blues Festival - Largest free neighborhood street musical festival in the Lou, held in Old Louisville. Harvest Homecoming - Originally a pumpkin festival in New Albany, this festival offers crafts, a farmers' market, rides, and riverfront fun. Oktoberfest - Enjoy authentic German food, music, and dance on E. 4th St.
St. James Court Art Show - Juried fine arts and fine crafts show amidst the old Victorian homes of Old Louisville. Unfair Art Show - Compeitive show to the St. James Court Art Show, held nearby on the same weekend. Week in the Highlands - A week of events in the Highlands that includes a 5Krun/walk, a rock/jazz fest, Empty Bowls Soup Supper, and a harvest festival. Festival of Trees and Lights - Huge Christmas show held at the indoor gallery at Louisville Slugger Field to benefit Kosair Children's Hospital. Trees and Christmas items for sale, plus gift boutique, entertainment, and food. Light Up Louisville - Prior to the official lighting of up of Jefferson Square, Santa's arrival, and firework, thee is a 5K run, parade, crafts, and food. Olde Tyme Christmas Celebration - Celebration on Frankfort Ave. that includes the Santa Sprint, Dog Walk, retail, refreshments, and free trolley and horse and carriage rides along the Avenue.